You need your Demo Reel to stand out. Here's how to do it - we'll dive into background music and planning. Get a cut above the crowd with these tips. Editors, directors, filmmakers, actors, and just about any media-based creative has had to make a demo reel. These presentations should be seen as an extension of you-- after all, they are the sample of your skills that you present to potential employers. You want your potential employer to see what your skills and talents are through your demo reel, so it better be good. And the ultimate complimentary element to a great demo reel is the music to go along with it. There are a ton of things to consider when picking out music and planning for its use in your reel. Luckily, we have some pretty awesome tips and bits of advice for picking the absolute best music for your demo reel. Are you ready to finally find the right music for your demo reel and learn how to properly use it? Let's check out these awesome tips! 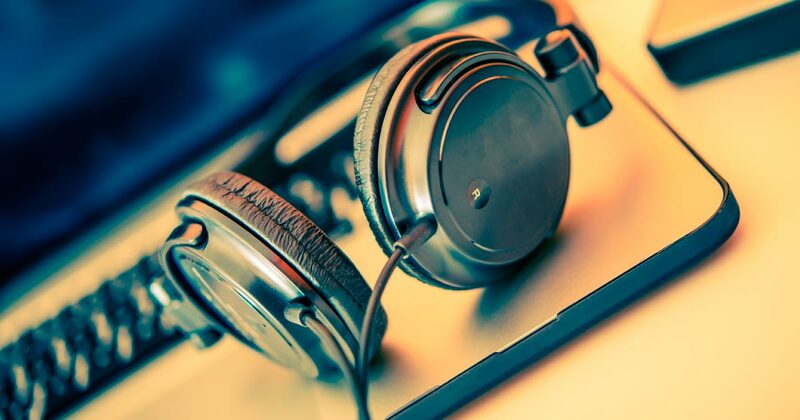 Check out these tried and true tips for more handy advice for picking demo reel music tracks. This may not seem like a big deal, especially because demo reels are, well, demos. You don't directly make money off of them. However, using copyrighted music without permission isn't just unprofessional, but it is also dangerous. If you upload your demo reel to websites like YouTube, there's a good chance it'll be reported pretty fast. Should a potential patron or employer see that, they may see you in a bad light. There are so many great places that provide royalty free music tracks for just about everything (e.g. NeoSounds), so there's no point in risking your brand or image over a stolen song. Learning a bit more about copyrights and royalty free music could prove useful when you start looking for your tracks. Once you've picked your clips for your demo reel, you should make this musical decision before you begin to cut them together on your timeline: Will you have music play throughout your reel or will you bookend some tunes instead? If your demo reel is mostly dialogue-free and has a montage vibe, playing music throughout could be a great idea. However, sometimes the same music track won't match the pace or theme of each clip. You may need to pick several different yet cohesive tracks to play throughout your reel. If your demo reel has a lot of dialogue, bookending music could work better and won't interrupt or oversaturate your demo reel's content. Having a track play at the beginning will draw the viewer's attention in and playing a track at the end will seal the reel and make it feel like a completed piece. Montages can be really cool, but sometimes creatives can go overboard. Super fast-paced montages with equally fast and quickly changing music tracks are exhausting. This has become a trend recently, but employers are getting sick of it. Just jamming the flashiest parts of your portfolio into as short a demo reel as possible isn't cutting it anymore. Prove that you're not a total rookie by playing rather peaceful music against action-packed or dynamic scenes. Use strange, avant-garde music against typical imagery. Be creative, fun, and different. Don't just go for conventional or over-paced montages. If you're a CG artist displaying your portfolio in the form of a demo reel, I want you to sit down and look up as many CG artist portfolio demo reels on YouTube as you can. Notice anything similar? Just about every CG artist demo reel has either techno or trance tracks as their music tracks. This is getting old and it is also a bit distracting. Employers want to check out the fine details of your work, and that can be hard to do with a dubstep track blasting them in the face. Try going in a totally different direction by choosing peaceful orchestra music or even indie acoustic tracks. Experiment. This is where you'll need quite a bit of creativity. A complimentary track is a music track that matches the vibe of the visual scenes that are playing in the demo reel. A great example of this would be all of the Harry Potter films' trailers. The music is upbeat, whimsical, magical, and invokes feelings of fantasy and adventure. The music matches the feeling of the films wonderfully. A contradictory track is a music track that does not match the energy and ambiance of the visual scenes that are playing. A very popular example of this is the incredibly popular trailer for the video game Dead Island. In the trailer, we see a reversed story of a young girl who is bitten and dies amidst the chaos of a zombie apocalypse. The music track used is a gentle violin and piano medley-- not something you'd think of when thinking of a zombie apocalypse. However, using contradictory music (in this case) worked wonderfully and only accentuated the story and feelings of sadness rather than fear. When you're working on your clip sequences and you're just a few minutes away from the end, trying playing prospective music in your web browser while watching the demo reel in its entirety. This way you can judge if the demo reel track fits the feel of the visuals well and if it transitions nicely from scene to scene. Pretty much every video editing software in existence has marking features. When you're starting to edit the music tracks into the demo reel, mark when the waveforms change drastically to edit your film to match the swells and crescendoes of sound. This can be done vice-versa as well. A pro editor will use music in the best way possible for their demo reels. Instead of just putting a music track under a video track, show off your editing skills by cutting to the music instead. You're Ready To Choose Some Killer Demo Reel Music! These tips and tricks should help you pick the best music you possibly can for your new demo reel project. Do you have a demo reel project that you're proud of? Share it with us in the comments!